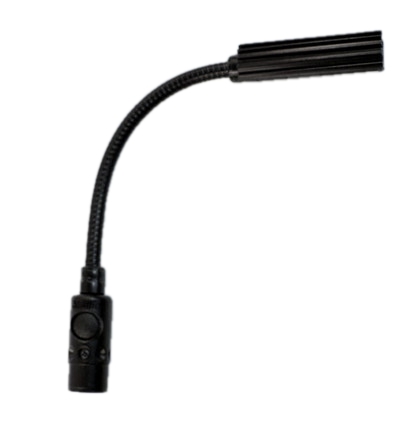 Littlite X-Series Low Intensity (2.4-Watt Incandescent) light with straight 3-Pin XLR connector for use with a XLR task light connector. Featuring Littlite's proprietary LLX connector. Available with six, twelve or eighteen-inch gooseneck.